Hangsen Genesis Kit from Ave40 (20% Coupon Inside!) - Daily Vaping Deals & The Best Vape Product Reviews at Vaping Cheap! 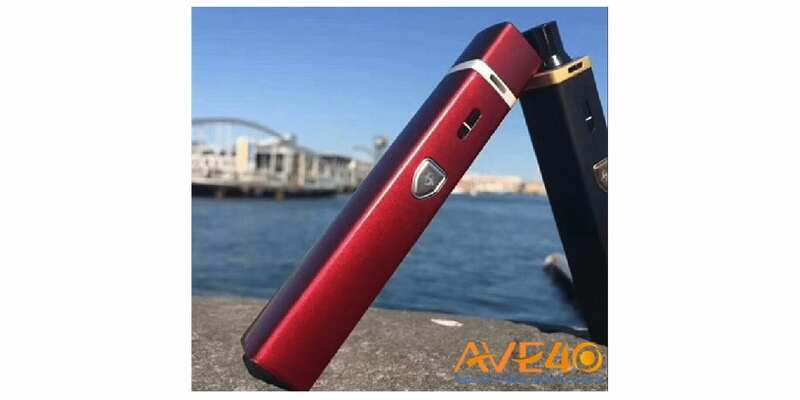 The Hangsen Genesis Kit from Ave40 is one of the newest vape starter kits to hit the market. It does feature a compact design with measurements of 19.2mm x 19.2mm x 115.6mm, making it incredibly travel friendly. In addition, with its simple one button operation, it’s an excellent choice for both beginners and advanced users! For a limited time only, Ave40 is offering 20% off by using coupon code “DEALNB1R“! Do keep in mind that this coupon code is valid off New Items, so you can use this discount with other products you’re interested at Ave40! The colors available for purchase are Black/Gold and Red/Silver. Click Here to Check Out the Hangsen Genesis! 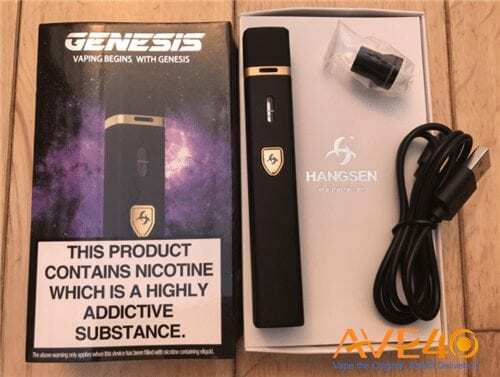 The Hangsen Genesis Kit is an all in one device, which yet again makes it great for both the beginner and advanced user. With an all in one design, you don’t have to worry about buying other atomizers to utilize this vape kit. These “pen styled” vape starter kits are very popular due to their ease of use, portability, and overall design. With a design as such, you can easily fit it into your pocket or purse with no issues. This vape starter kit does sport an internal 1,500 mAh battery, which can be charged utilizing the included Micro USB charging cable. The USB port is located at the rear of the device. Even though it is 1,500 mAh battery, it can certainly last you all day since it’s not firing at high wattages. In addition, this device does have a higher capacity in comparison to similar vape starter kits on the market, which is great. The overall design of the Hangsen Genesis Kit is sleek, especially with the black finish and gold fire button. The Hangsen logo is on the fire button which certainly makes it even more eye appealing. As mentioned previously, the Genesis Kit does feature a simple one button operation, so five clicks will turn it on and off, and once it’s on, simply press the fire button to start vaping. There is an LED light located around the fire button which will indicate your battery life, so you’ll easily know when it’s time for a recharge. In addition, this kit does offer multiple safety features such as an innovative battery protection system which provides you with additional safety during the charging process. Some of the other safety features include low voltage protection, short circuit protection and over-discharge protection. The Hangsen Genesis Kit does feature fully adjustable top airflow which allows you to fine tune your vape experience to your preference. In addition, the airflow is designed so that you’ll experience excellent flavor and solid vapor production. Not to mention, with top airflow, you won’t be experiencing any leaking, which is a huge pro to this vape kit! Another great feature is the dust-proof magnetic cap, so when you’re not vaping simply snap the top cap back into place, and it’ll protect your drip tip from any dust from getting into your drip tip. This vape starter kit does include 2 replacement coil heads which have a resistance of 0.4 ohm. In addition, it does feature anti-dry burning, so you won’t be experiencing any dry hits with Hangsen Genesis. With this design, you’ll be getting a smooth vape experience with every vape you take. The e-liquid capacity of this kit is 1.5ml and it does feature a top fill twist design, making filling quick and easy. All in all, the Hangsen Genesit Kit is a great vape starter kit for both beginners and advanced users. It’s incredibly affordable coming in at under $30. So if you’re looking for an easy to use vape pen for cheap, then the Hangsen Genesis is definitely worth checking out!